PHOENIX, AZ – FirstBank, one of the nation’s largest privately held banks, announced in October, a video contest that would award a $20,000 cash prize and personalized marketing campaign to two grand prize winners. With FirstBank’s tagline of ‘banking for good’ in mind, entrants from Arizona and Colorado were asked to submit a video demonstrating how their organization is committed to positively impacting customers, communities, or employees. 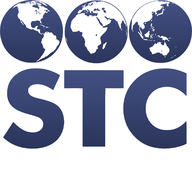 STC was up to the challenge and was selected as a finalist out of over 175 submissions. Although not awarded the grand prize, Michelle Bonjour, co-founder of STC’s Immunization Ambassador program, was still thrilled to have the opportunity to showcase the work they are doing. Great job STC Team! It really captured your essence!